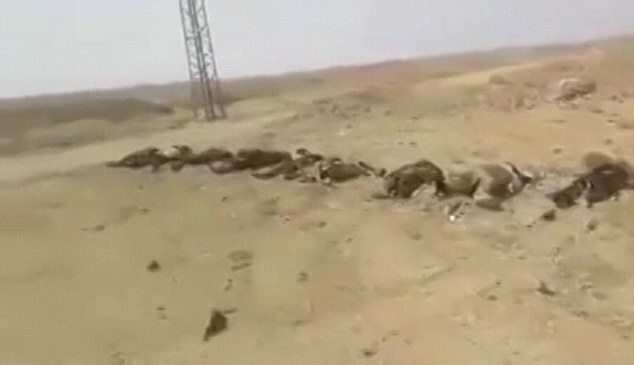 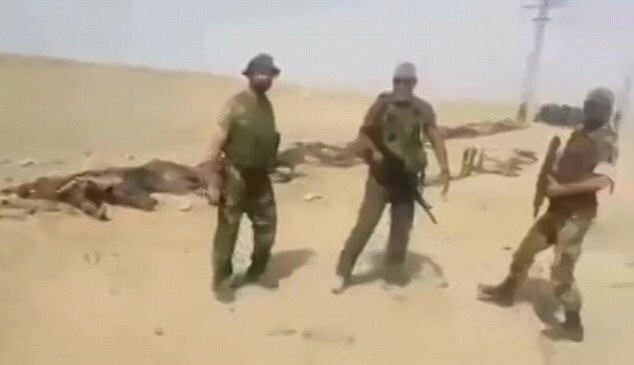 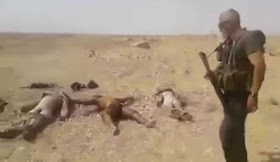 A high-ranking Syrian army official has been filmed proudly walking past hundreds of dead ISIS militants strewn across the sandy ground. 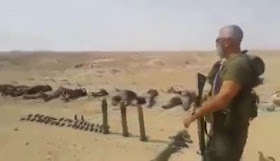 Syrian Major General Issam Zahreddine, who is one of the key figures in the fight against the terror faction, appeared to be counting the bloodied corpses of the slain men as he strolled by. 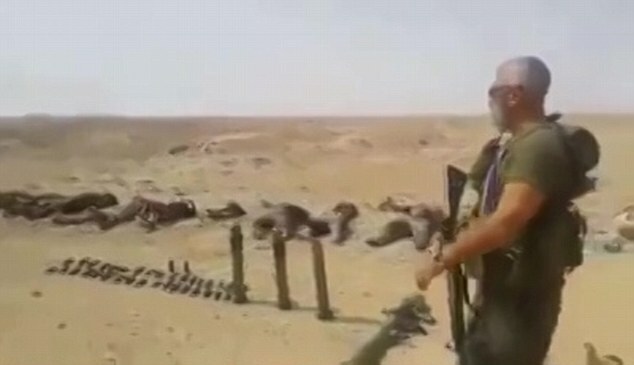 Zahreddine is head of the elite Presidential Guard whose main focus is to protect the Syrian capital of Damascus. Zahreddine's men say they have reclaimed much of the area ISIS took over in raids that were boosted by counter strikes from Russian forces on the militants' strongholds.